Get advance against your trade receivables within 24 hours with our paperless experience. Fund your company's growth using just your trade receivables. Use Portal by Drip for paperless, faster fulfilment and end-to-end service - all in one place. Use Drip's advanced analytics and market-insight tools to stay ahead of the curve. Over 100 exporters financed across 50+ cities in India with buyers across 30+ countries, helping exporters grow 30% MoM. Sign-up online to check eligibility and get a quote. E-sign to confirm terms - no physical signature needed. Get money in your account within 24 hours. 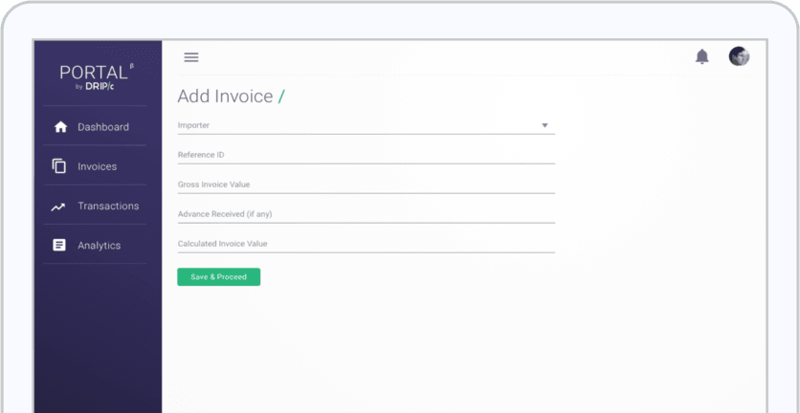 Add & track future invoices & payments online. 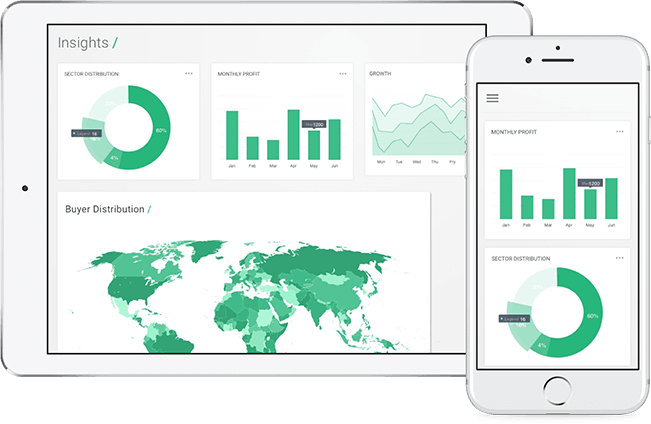 Presenting DripView - advanced business analytics to better understand your exports. Get global commodity insights with access to DripTrade, Drip's trade data platform. Drip's portal made entire documents process very easy and removed need to courier documents everytime. We were able to significantly increase sales to existing customers by shortening our working capital cycle. Thanks to Drip, we have also added new buyers by offering competitive credit terms. Drip’s facility freed up our existing bank limit thereby helping us in making timely purchase during peak season. Further we managed to get increased large orders from existing customers. The solution to your working capital woes is just one click away.